Sadly, I have to pass along news of another loss to the Fire/EMS family. 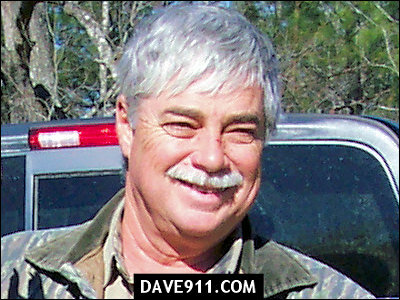 Captain Jeff Cooper, who was due to retire from Orange Beach Fire Department and who had already retired from the Birmingham Fire & Rescue Service, died Thursday (12/15/05) in a freak 4-wheeler accident at his hunting club. Captain Cooper has a son who is a firefighter with Gardendale Fire Department. Please keep him and the rest of the family of Captain Cooper in your prayers... especially during this Christmas season. There will be a visitation of friends and family on Sunday December 18 from 3:30 pm - 7:00pm at Curtis and Sons Funeral home in Sylacauga. Retired Birmingham Fire Lt. Jeff Cooper's funeral will be Tuesday December 20th 2:00pm at Orange Beach Baptist Church in Orange Beach, Alabama. A special thank you to Shawn Watkins for providing the information and photograph. Dad, we're goin to miss you soooo much. Thanks for the wonderful memories.